If this is a new installation or an upgrade to a new major version (e.g. 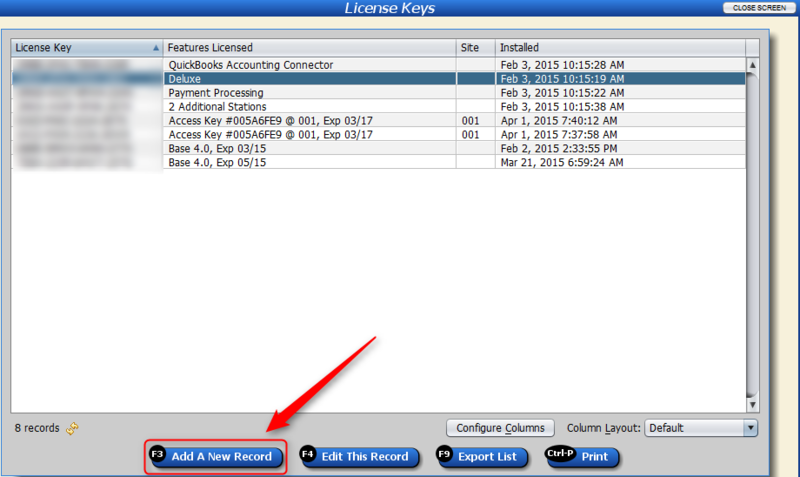 from a 1.X or 2.X version to 3.X or 4.X), you must enter your license keys in order to use the software. Trial Version” instead, you can enter key(s) later by going to Help => Enter License Keys => Add A New Record => Insert The License Key => Save. Here are Image Examples that we will show exactly on how to perform the license insert in Artisan 4.X. See images below. Now that you have successfully added the Artisan POS 4.X license key, it is fully activated and ready for use. If any assistance is needed, don’t hesitate to contact us at 877-723-7835 and option 2 for support, or email us at support@certek.com.